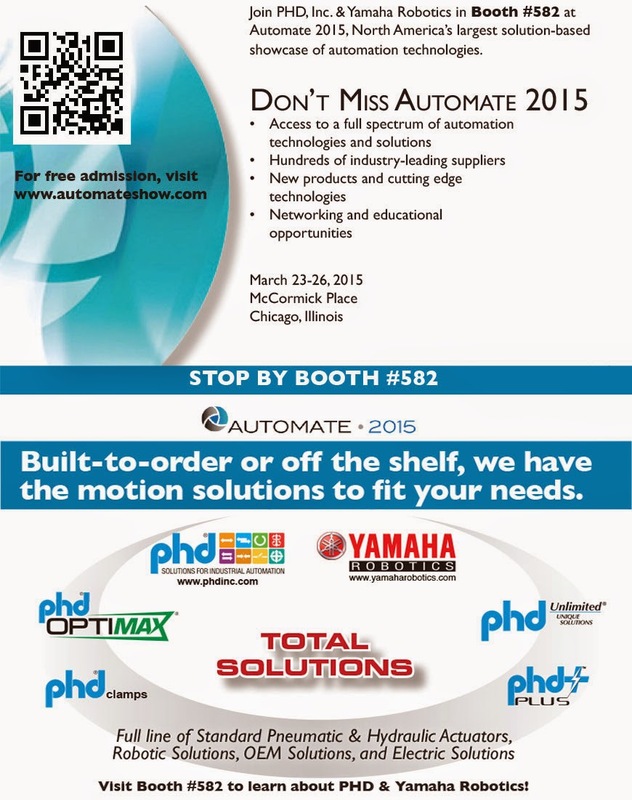 Automate 2015 - Be Sure to Stop By! Join PHD, Inc. & Yamaha Robotics in Booth #582 at Automate 2015, North America’s largest solution-based showcase of automation technologies. Murrplastik Systems, another of Fluid Power Engineering's valued suppliers and a leading manufacturer of injection molded cable management products, just announced their booth number will be #1170 at the Automate 2015 show. Like PHD/Yamaha, show registration is also available on The Murrplastik website. Another destination not to miss! 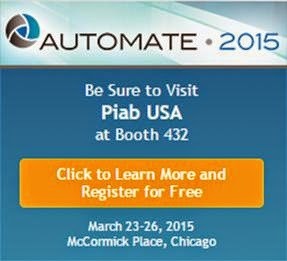 Lutze will also be at Automate 2015! Stop by booth 499A to see them. Automate 2015 is just around the corner. Thought I'd let you know about a couple more of FPE's suppliers to visit at the show. Swivel-Link is a manufacturer of very clever camera mounts for smart cameras. SwivelLink will be at booth #1025. Piab, one of FPE's premier suppliers, will be at booth #432. Chances are, you may run into the friendly and knowledgeable FPE solution specialists at these booths - we'll be there! 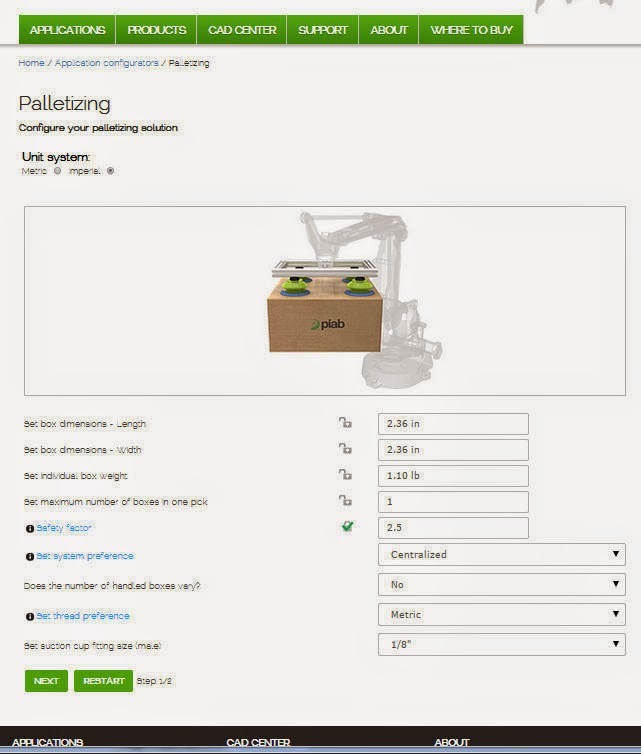 Configure your palletizing solution online. Piab offers a hands=on application configurator for your palletizing solutions right on their website! Just plug in your details and go... Click here to find the optimal vacuum products for your specific palletizing application. 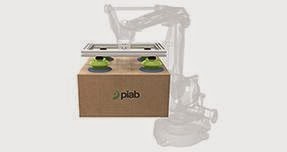 With a few selections as to size, weight and number of boxes, this application will provide you with a bill of materials based on Piab's expert recommendation. For quotes, additional assistance and to order Piab products, contact FPE.